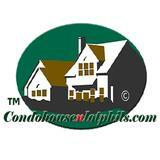 Ms. Lea P. Cadalin has been in Real Estate Industry since 2007. Started as an agent, then became a Manager to Director and now a VP for Sales at Megaeast. A graduate of Bachelor of Science in Real Estate Management at Gardner College Diliman. Greenridge Executive Village STA. LUCIA LOTS Lot Area.................................... 150 sqm Price/sqm............................ Php 6,200 TOTAL PRICE..................... P930,000 20% Downpayment................ 186,000 Less: Reservation Fee............. 10,000 Less: 20% Disc. In 7 days..